For further evidence click here. There was one study reporting a benefit, the SU.VI.MAX study of ascorbic acid, vitamin E, beta-carotene, selenium, and zinc versus placebo which showed a reduction in the risk of prostate cancer [Hercberg] but authors postulated this was related to French men having a lower baseline micro-nutrient status [Myer]. An Australian study, showed that individuals who took beta-carotene and vitamin E in supplement form had higher rates of new skin cancer formation but those having a low polyphenol rich diet also had a higher risk [Heinen]. This u-shaped distribution was also reported in the EPIC study were individuals on diets deficient in folate and those taking the highest amounts of folate via supplements both had higher cancer risks [Chuang]. This phenomenon has prompted organisations such as the National Cancer Institute to issue statements that long-term vitamin and mineral supplementation should be discouraged unless they are used for correcting a known deficiency, and future studies should include detailed micro-nutrient testing Cancernet-UK. Albanes D, et al. The effect of Vit E and beta carotene supplementation and lung cancer incidence in the vit A & E cancer prevention trial in male smokers (1994) NEJM 1994, 330: 11029-35. Angie MA. Accurate Use of Prostate-specific Antigen in Determining Risk of Prostate Cancer. Journal for Nurse Practitioners. 2010; 6(3):177-184. Banim PJ, et al. Dietary antioxidants and the aetiology of pancreatic cancer (2012). Gut doi:10.1136/gutjnl-2011-301908. Bourke L, et al. (2013) Endocrine therapy in prostate Cancer: time for reappraisal of risks, benefits and cost effectiveness? British Journal of Cancer 108,9-13 doi 10.1038/bjc2012.523. Bauer CM, et al. Prevalence and correlates of vitamin and supplement usage among men with a family history of prostate cancer. Integr Cancer Ther. 2012 11(2):83-9. Barber NJ, et al. Lycopene inhibits DNA synthesis in prostate cells in vitro and is associated with a reduced PSA velocity in a phase II clinical study. Prostate Cancer Prostatic Dis ( 2006).9(4): 407-13. Bent S, Kane C, Shinohara K, Neuhaus J, Hudes ES, Goldberg H, Avinset A. Saw Palmetto for Benign Prostatic Hyperplasia (2006). N Engl J Med; 354(6): 557- 566. (doi: 10.1056/NEJMoa053085). Brasky TM et al (2011). Specialty supplements and prostate cancer risk in the VITamins and Lifestyle (VITAL) cohort. Nutr Cancer. 63(4):573-82 (doi: 10.1080/01635581.2011.553022). Boyapati SM, Shu XO, Ruan ZX, Dai Q, Cai Q, Gao YT, Zheng W. Soyfood intake and breast cancer survival: a follow up of the Shanghai Breast Cancer Study. Breast Cancer Res Treat. 2005;92:11–7. Carducci MA, Paller CJ, Wozniak P, Sieber P, Greengold R, Stockton B, Hertzman B, roper R, Liker H, Ye X. A phase II study of pomegranate extract for men with rising PSA (2011). JCO, 29: 7, 11. American Cancer Society: Cancer treatment and survivourship Facts and figures 2012-13. Atlanta. Blot WJ, et al. Nutritional interevention trials in Linxian China: Supplementation with specific vitamin/mineral combinations, J Natl Cancer inst 1993;85: 1483-91. Chaoyang L et al Serum alpha-carotene concentrations and the risk of death amoung US adults (2011) Arch Intern Med 171(6); 507-15 doi:10.1001/archinternmed.2010.440. Choi C, Liao Y; Wu S; Leu Y; Shen Y. The structure of pomegranate has no hormonal component (2006). Mass Spec Food Chem, 96; 4, 562. Chuang S. A U-shaped relationship between plasma folate and pancreatic cancer risk in the EPIC and Nutrition study (2011). EJC 47, 1808-16 doi:10.1016/j.ejca.2011.02.007. Clark PE, et al Phase I-II prospective dose-escalating trial of lycopene in patients with biochemical relapse of prostate cancer after definitive local therapy. Urology 67 (6): 1257-61, 2006. Ebbing M et al (2009) Cancer Incidence and Mortality After Treatment With Folic Acid and Vitamin B12 JAMA. 2009;302(19):2119-2126. 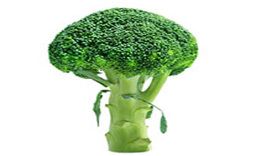 Gasper AV et al (2005) Glutathione S-transferase M1 polymorphism and metabolism of sulforaphane from standard and high-glucosinolate broccoli. Am J Clin Nutr 82: 1283–1291. Greenwald P, Milner JA, Anderson DE, McDonald SS. Micronutrients in cancer prevention (2002) Cancer metastasis Rev 21 (3-4): 217-30. Hercberg S et al The SU.VI.MAX Study: a randomized, placebo-controlled trial of the health effects of antioxidant vitamins and minerals. Arch Intern Med. 2004;164(21):2335-42. Iqbal M, Sharma SD, Okazaki Y, Okada S (2003) Dietary supplementation of curcurmin enhances antioxidant phase II metabolosing enzymes in mice. Pharmacol Toxicol; 92 (1); pp33-8. Joseph MA, et al Cruciferous vegetables, genetic polymorphisms and prostate cancer risk. Nutr Cancer. 2004;50(2):206-213. Jatoi A et al. 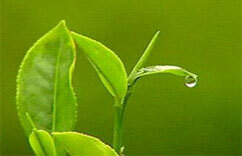 A phase II trial of green tea in patients with metastatic prostate carcinoma. Cancer. 2003;97(6):1442. Kakarla M, et al (2010) targeting breast stem cells with the preventive compounds curcumin and piperine Breast Cancer Res treatments 122(3):777-785. 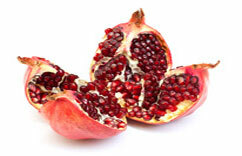 Khan N and Mukhtar H. Pomegranate inhibits growth of primary lung tumors in mice. Cancer Res 2007;67:3475-82. (doi: 10.1358/dof.2007.032.06.1097137). Klein EA, et al Vitamin E and the risk of Prostate cancer. The selenium and vitamin E cancer prevention Trial (SELECT)(2011). JAMA 306(14) 1549-56 doi:10.1001/jama.2011.1437. Klotz L (2012) Active surveillance for favourable risk Prostate Cancer: Background , patient Selection, triggers for intervention and outcome. Curr Urol Rep 13:153-59. Lansky EP et al Possible synergistic prostate cancer suppression by anatomically discrete megranate fractions. Invest New Drugs. 2005;23:11–20. Malik A, et al. Pomegranate fruit juice for chemoprevention and chemotherapy of prostate cancer. Proc Natl Acad Sci USA. 2005;102:14813–14818. McLarty J Tea Polyphenols – biochemical mode of action (2009). Cancer Prev Res: 1940-6207.CAPR-08-0167. Meyer F, et al Antioxidant vitamin and mineral supplementation and prostate cancer prevention in the SU.VI.MAX trail. National Library of Medicine, Int J Cancer. 2005; 116 (2): 182-6. Ogunleye AA, Xue F, Michels KB. Green tea and breast cancer risk of recurrence: A meta-analysis. (2010) Breast Cancer Res &Treat; 119(2):477. Omenn GS, et al., (1996) Risk factors for lung cancer and for intervention effects in CARET, the beta-carotene in retinol efficacy trial. Journal of the National Cancer Institute, 88: p. 1550-1559. Paller CJ, et al. A RCT (phase II) study of pomegranate extract for men with rising PSA following initial therapy for localized prostate cancer. (2013) Prostate Cancer & Prostate Disease 16, 50-55. Pantuck AJ, Phase II study of pomegranate juice for men with rising PSA following surgery or radiation for prostate cancer. J Urol. 2005;173:225–226. Parada j and Aguilera JM. Food combinations and microstructure affects the bioavailability of several nutrients. J Food Sci. (2007);72:21-23. Porrini M and Riso P. Factors influencing the bioavailability of antioxidants in foods: a critical appraisal. Nutr Metab Cardiovas. 2008:80(4):353-61. Pierce et al. (2007). Influence of a Diet Very High in Vegetables, Fruit, and Fibre and Low in Fat on Prognosis Following Treatment for Breast Cancer: The “WHEL” RCT.” JAMA 298(3): 289-298. Pisters KM, et al Phase I trial of oral green tea extract in adult patients with solid tumors. J Clin Oncol. 2001;19(6):1830. Rezai-Zadeh K, et al Green tea modulates amyloid precursor protein cleavage and reduces cerebral amyloid in Alzheimer transgenic mice (2005). J Neurosci 25 (38): 8807-14. Rock CL, et al Carotenoids and Recurrence-Free Survival in Women With a History of Breast Cancer (2005) J Clin Oncol; 23(27):6631-8. Schröder FH, et al Randomized, double-blind, placebo-controlled crossover study in men with prostate cancer and rising PSA: effectiveness of a dietary supplement. Eur Urol 2005 48(6):922-30. Shah BH, et al (1999). Inhibitory effect of curcumin, on platelet-activating factor through inhibition of thromboxane formation and Ca2+ signaling. Biochem Pharmacol., 58(7): 1167–1172. Somasundaram S, Edmund NA, Moore DT, Small GW, Shi YY, Orlowski RZ. 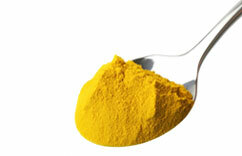 Curcumin inhibits chemotherapy-induced apoptosis in models of cancer. Cancer Res. 2002;62(13):3868-75. Shanafelt TD, Phase I Trial of daily oral polyphenon E (green tea extract) in patients with Asymptomatic stage 0-II Chronic Lymphatic Leakaemia. (2009). J Clin Oncol; 27(23): 3808–3814. Steward W and Gescher AJ Curcumin in cancer management: Recent results of analogue design, clinical studies and desirable future research Molecular Nutrition & Food Research, 52 (9) 1005-9. Sun CL, Yuan JM, Koh WP, Lee HP, Yu MC, Green tea and cancer risk: The Singapore Chinese Health Study (2007). Carcinogenesis; 28(10):2143-48 (doi: 10.1093/carcin/bgm171). Thomas R et al A randomised double-blind phase II study of lifestyle counselling and salicylate compounds in patients with progressive prostate cancer (2009) Nut & Food Science, 39(3):295–05. Uzzo RG, Brown et al Prevalence and patterns of self-initiated nutritional supplementation in men at high risk of prostate cancer. BJU Int. 2004. 93(7):955-60. Wu AH and Yu MCl. Tea, hormone-related cancers and endogenous hormone levels (2006). Molecular Nutrition & Food Res; 50(2):160-169 (DOI: 10.1002/mnfr.200500142).